Brewery Report: In the Lab with Spud — Aslan Brewing Co.
Brewing science varies from simple tasting and observation to full laboratory chemical and microbial analysis. 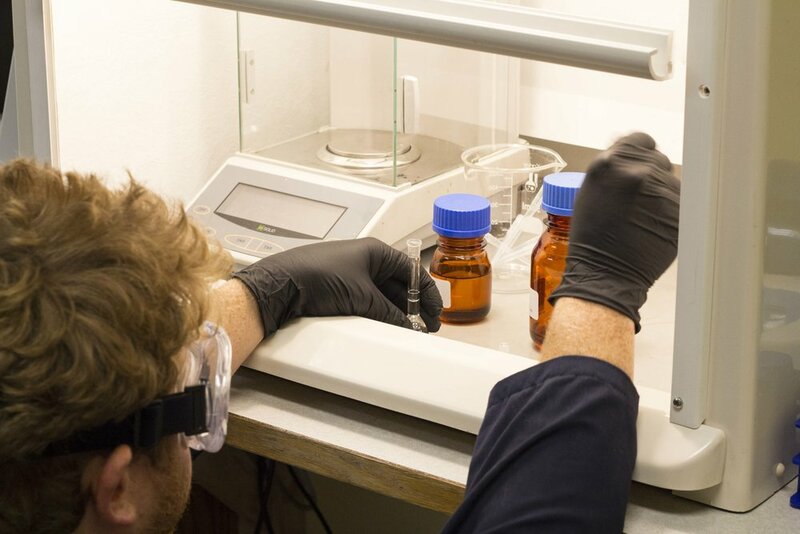 Over the past year Aslan has invested in analytical equipment and a laboratory program which has greatly improved the consistency and shelf-life of our beer. Beer samples filtering for distillation. Brewery staff collect data using a wide range of tools from a simple microscope to the Gehaltemeter, an instrument that can detect oxygen in beer down to 5 parts-per-billion. Daily analyses include gravity, pH, O2/CO2 concentration, temperature, and yeast viability. Results are recorded into a logbook that we use to track fermentation, review process change, and determine when beer is ready to be packaged. Measuring out filtered beer sample for distillation. Our laboratory located at The Depot is equipped to handle more in-depth analyses. Chemical methods are used to isolate compounds related to beer fermentation, such as 2, 3 butanedione or diacetyl. We use a spectrophotometer, a device which can detect very small changes in light absorbance, to determine the concentration of these compounds. With this information we can analyze recipe changes, monitor yeast productivity, and ensure consistent shelf-stable beer for our customers. Our lab runs analysis on IBUs (international bitter units), FAN (free amino nitrogen), color, settlement, VDK (vicinal diketones, aka Diacetyl) and total acidity. The Depot laboratory also houses our beer archive where all our canned beers are kept for shelf life analysis and as a reference if any customer complaints are made. Any canned beer that could be purchased in the market is accounted for by batch number in our archive, and the beer is stored warm to mimic bad market conditions it could face. Once a week the brew staff selects a sample of beers to taste for off flavors and overall stability of the beer. If a beer is found to be “out of spec” (not to our standards) we can use our data to determine what process may have influenced the quality of the beer. 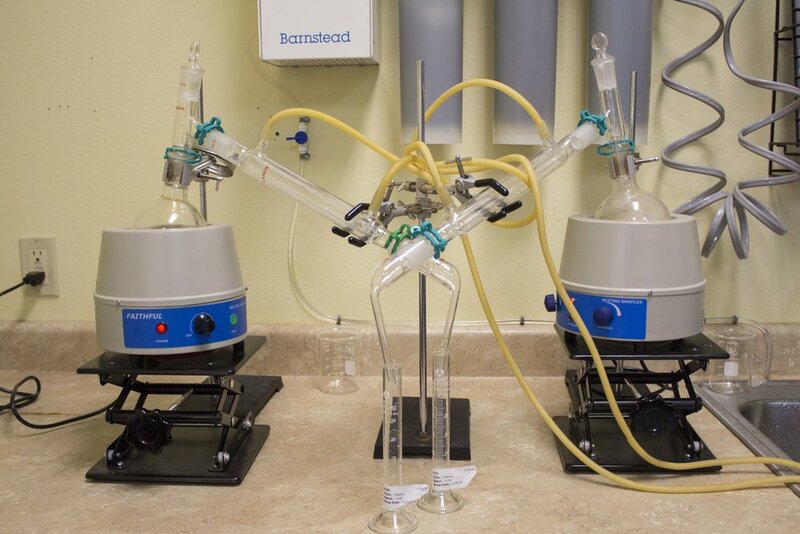 Adding reagents to beer distillate to initiate reaction. If anyone has questions about brewing science or about the brewing process, ask a brewer! You can find them performing sensory analysis at the bar after their shift, typically Monday-Thursday around 5pm.